This poster has a great design in addition to an interesting historical context. 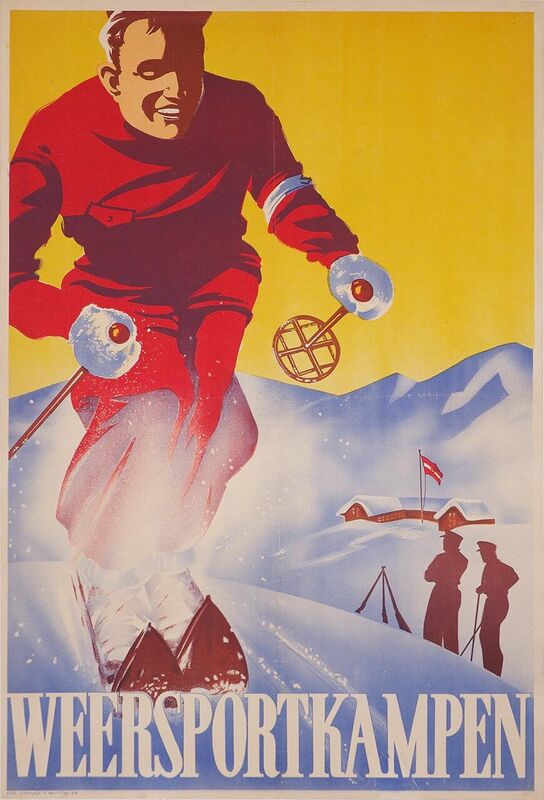 This piece of artistic propaganda was used a recruitment poster for the Third Reich ski troop training camps. This poster is scarce and we have it in beautiful color and exceptional condition!